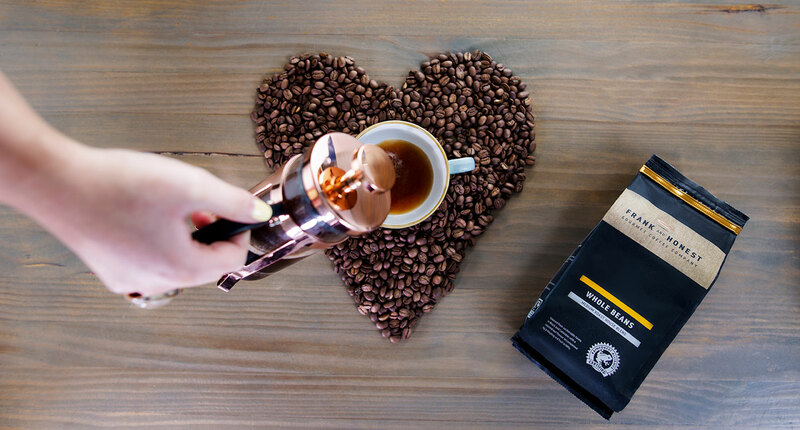 We love actual coffee. It's the best invention ever. Well, penicillin is decent but in fairness coffee's got the edge on taste and aroma. But seriously, we love coffee. 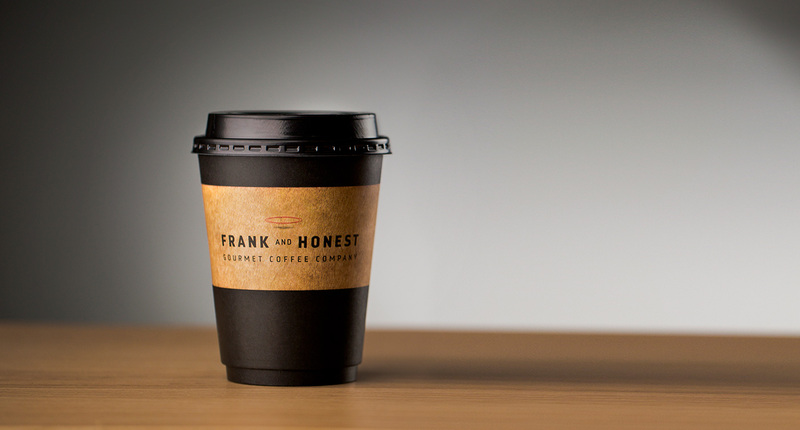 Frank and Honest was set up by a bunch of romantics who were tired of waiting around for the One. Sometimes you just have to take things into your own hands, you know, control your own destiny.  So we sourced 100% Arabica beans from Brazil and Colombia and fell in love with the subtle hints of gingerbread and sherbet and the sweet aromas of brown sugar and white chocolate. It really was love at first taste. Best of all we found the perfect intelligent machine. Honestly it's so smart, we are worried it might take over the world. 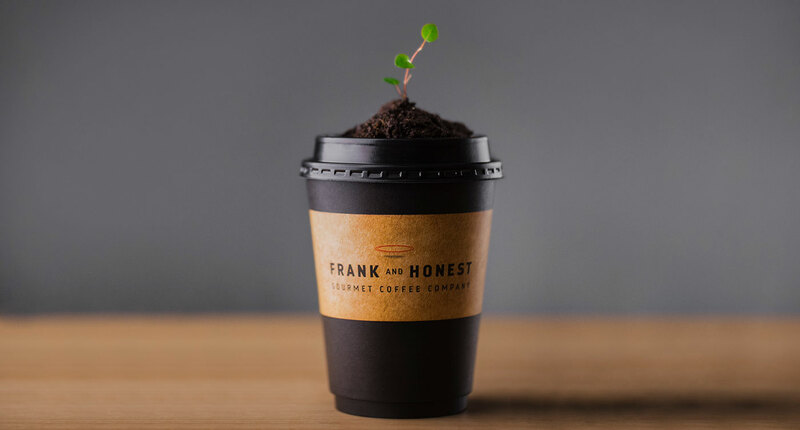 Our machines work so fast it's almost like there is an army of tiny baristas inside of it (which of course there isn't, we don't condone that kind of thing). Our coffee blend is made specifically with Irish tastes in mind. Because this is Ireland. And you’re the ones drinking the coffee. Seemed to make sense. So that means it’s nothing but 100% arabica beans from Brazil and Colombia. 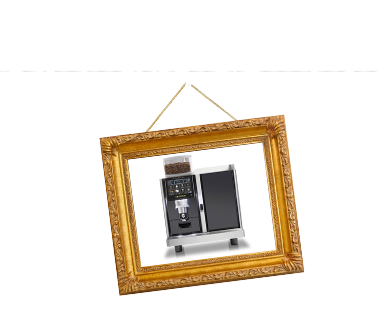 Our Eversys machines make sure our coffee is the closest thing to barista style coffee to ever come out of a machine. We have combined all the barista steps and simply put them inside this intelligent device. The ceramic blades are driven by a powerful but silent motor. Electronic controls ensure that your grind produces the ultimate coffee. 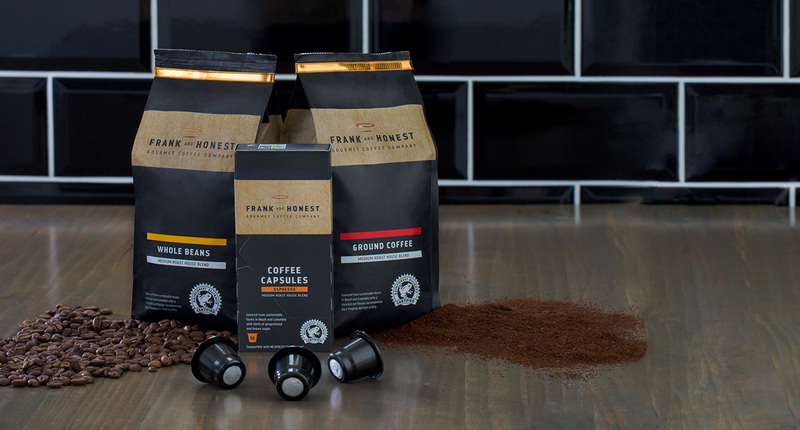 Our electronic tamper allows for the perfectly pressed coffee with a quality second to none. 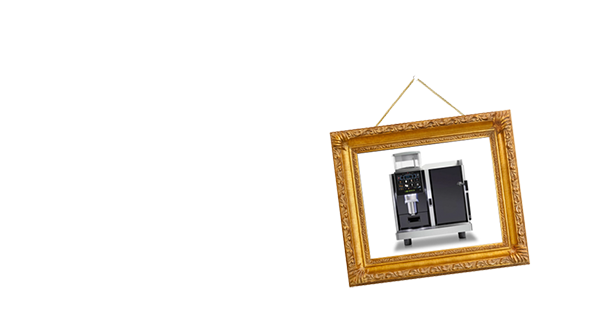 Separate and dedicated coffee boilers provide the right temperature and stability for in-cup quality. 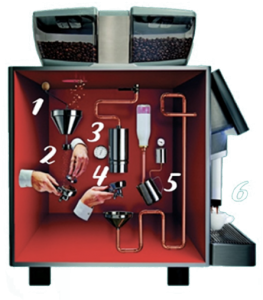 Reverse extraction brewing system optimises powder efficiency as espresso is produced. Products are pre-programmed to dispense in a consistent and efficient manner, placing a seamless productivity and quality at the forefront of the customer experience. 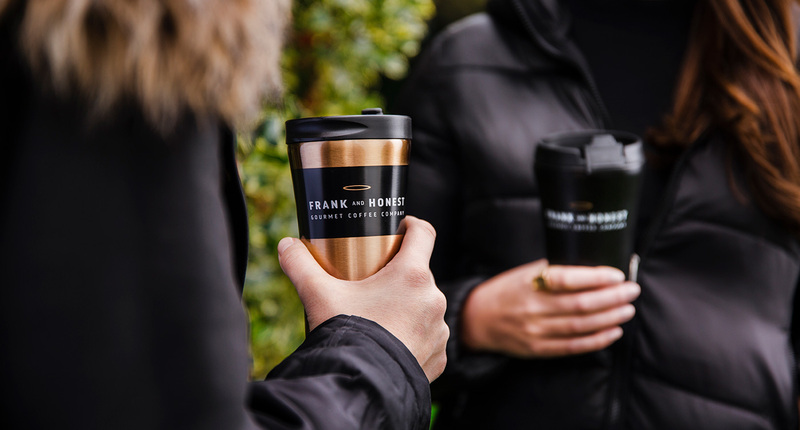 Ireland has a great sense of taste, so there’s no excuse not to make gourmet coffee available in every corner of the country. 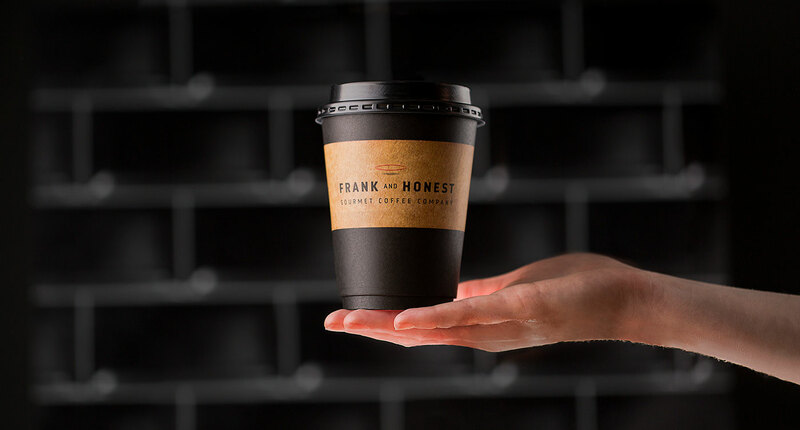 Find out the handiest place for you to get some Frank and Honest goodness.